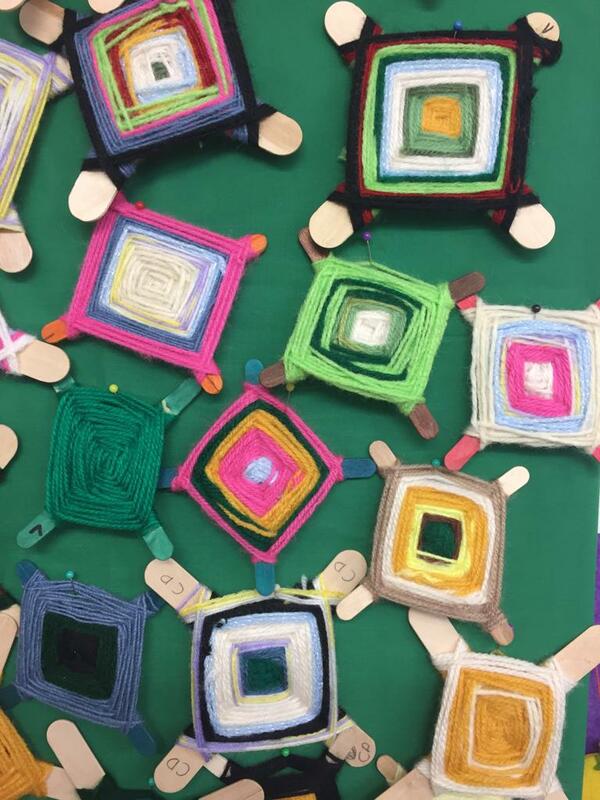 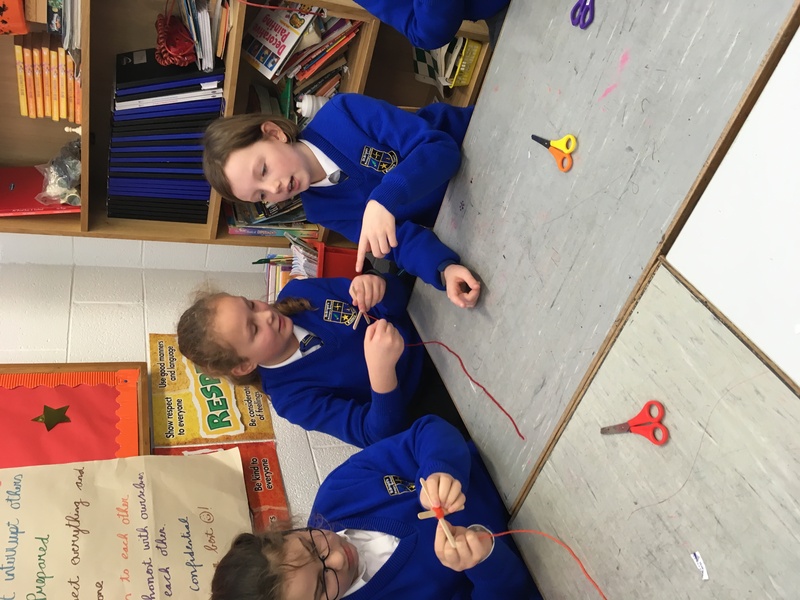 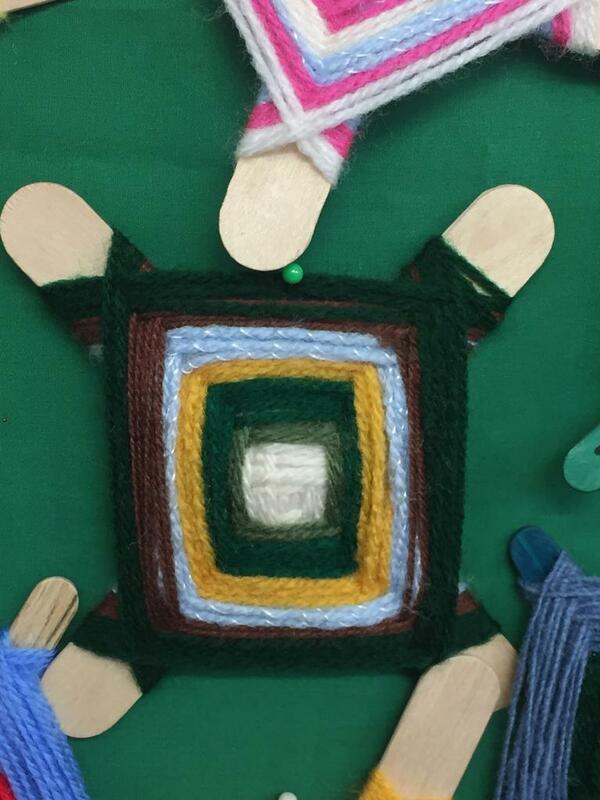 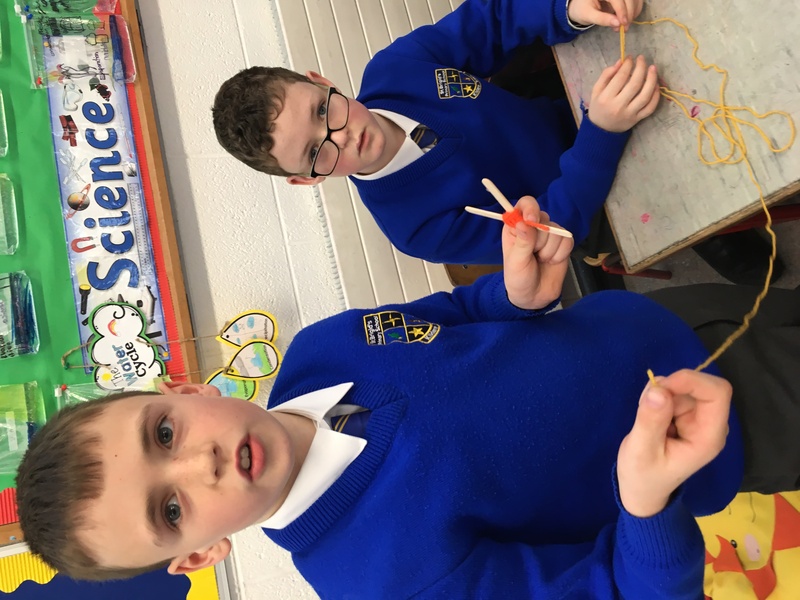 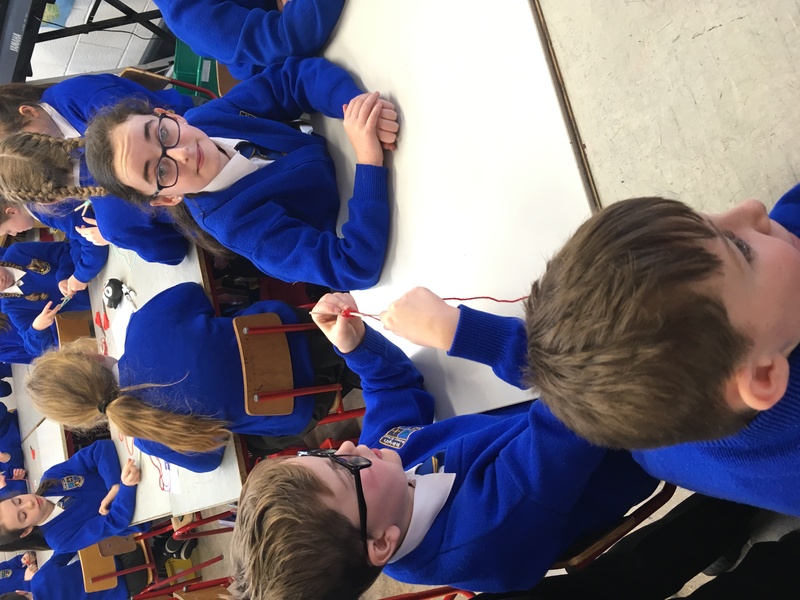 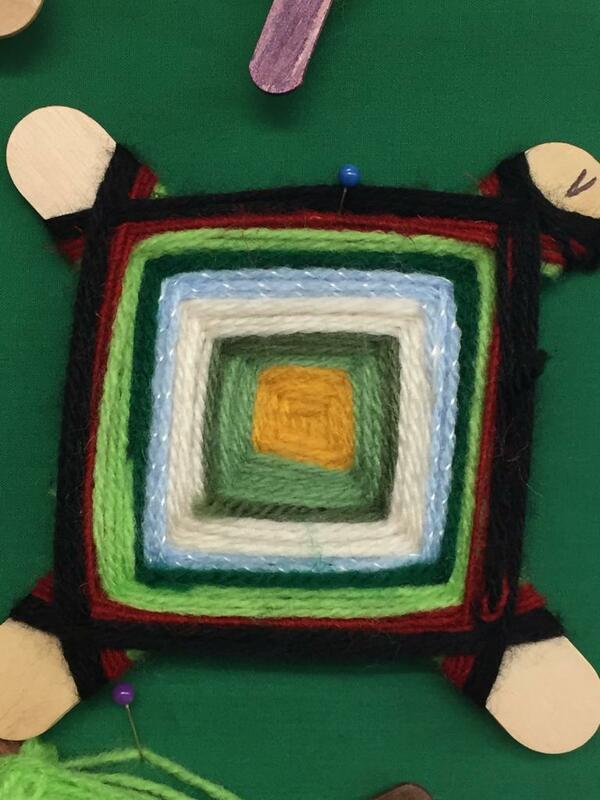 Ms. Hyland’s Class shared their new learning of making St. Brigid’s Crosses with the rest of Fourth Class. 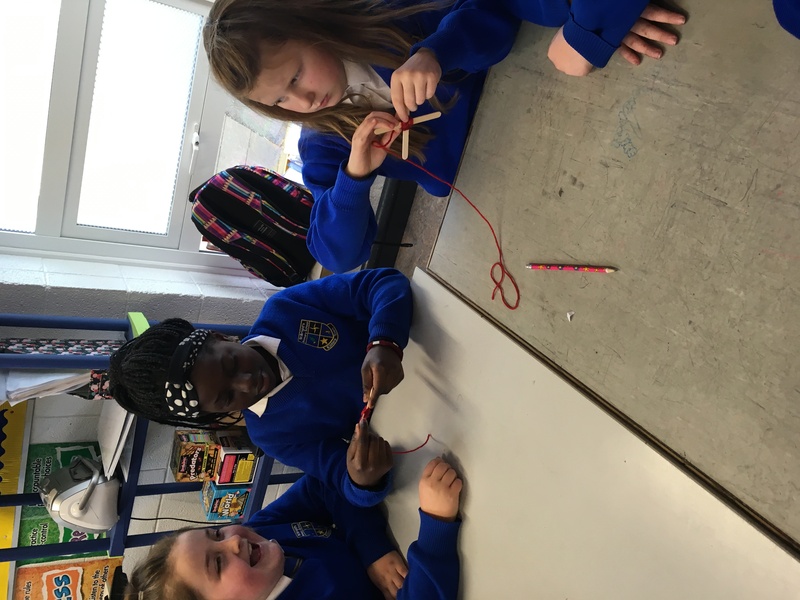 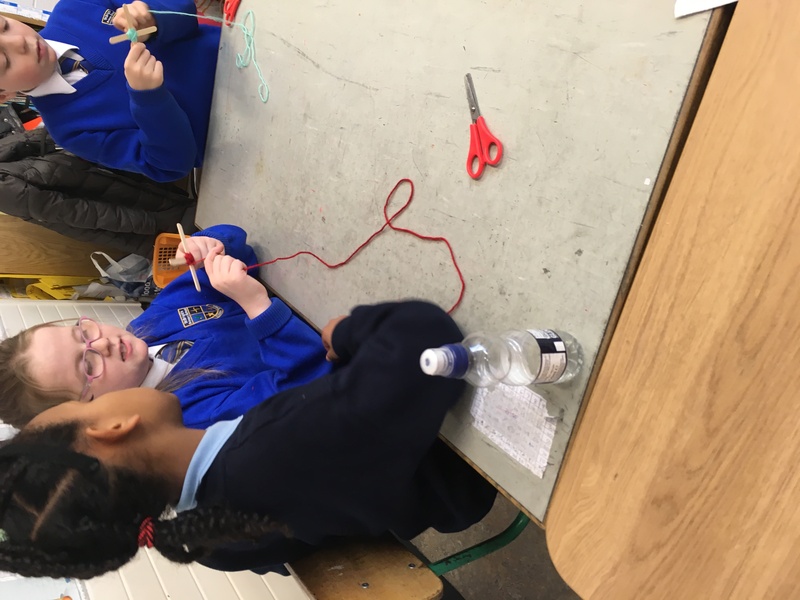 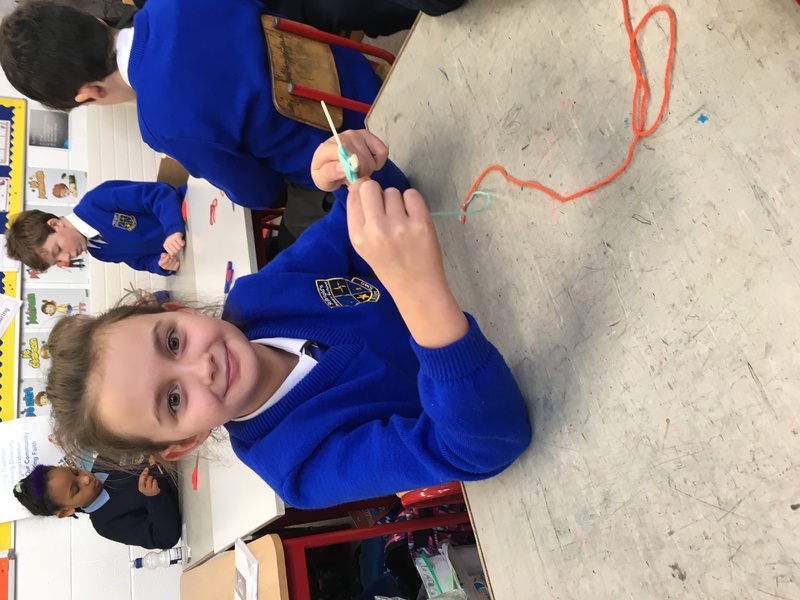 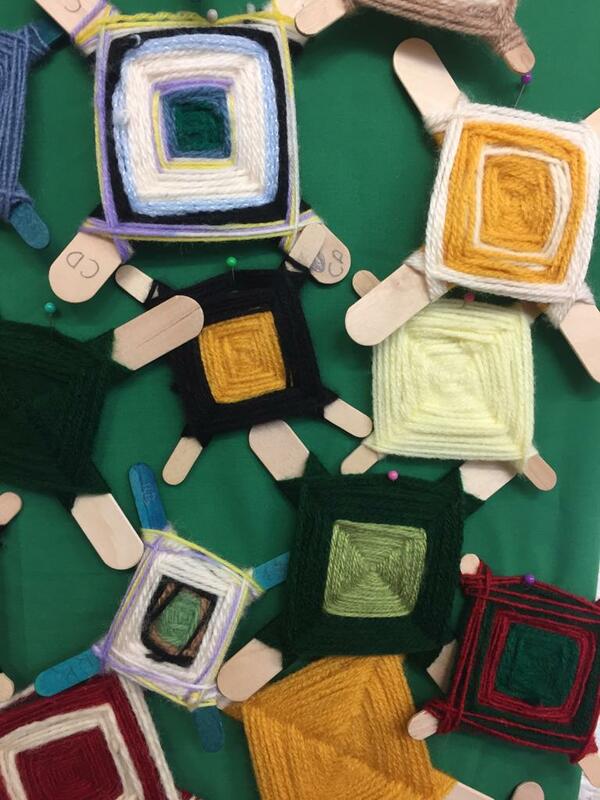 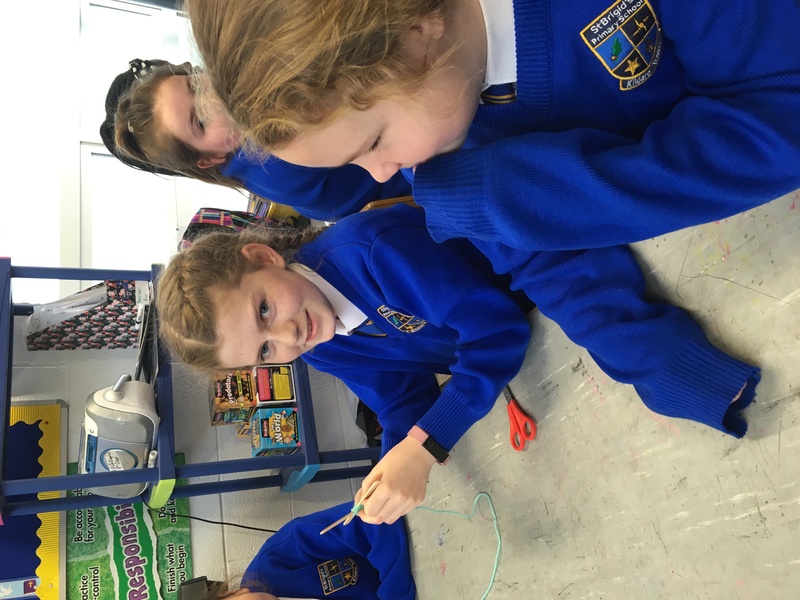 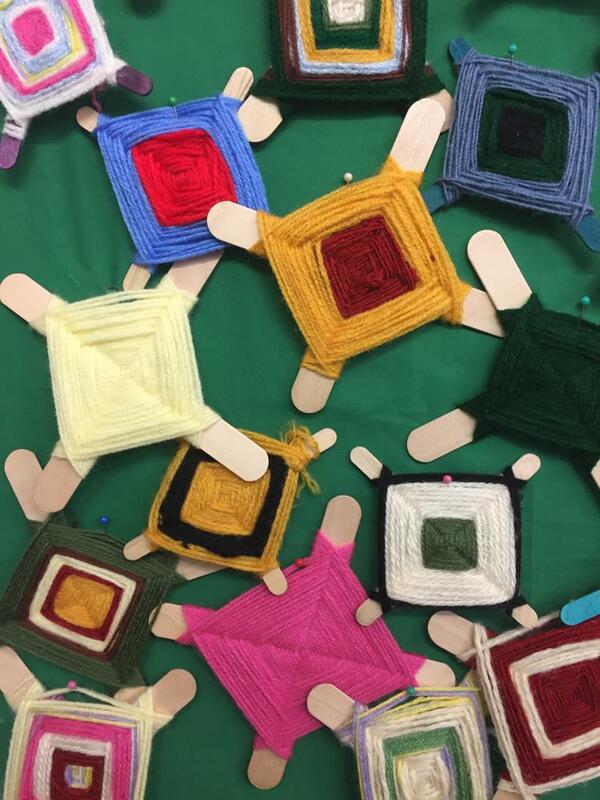 They took time last week to visit each class and teach their new skills to others using lollipop sticks and wool. 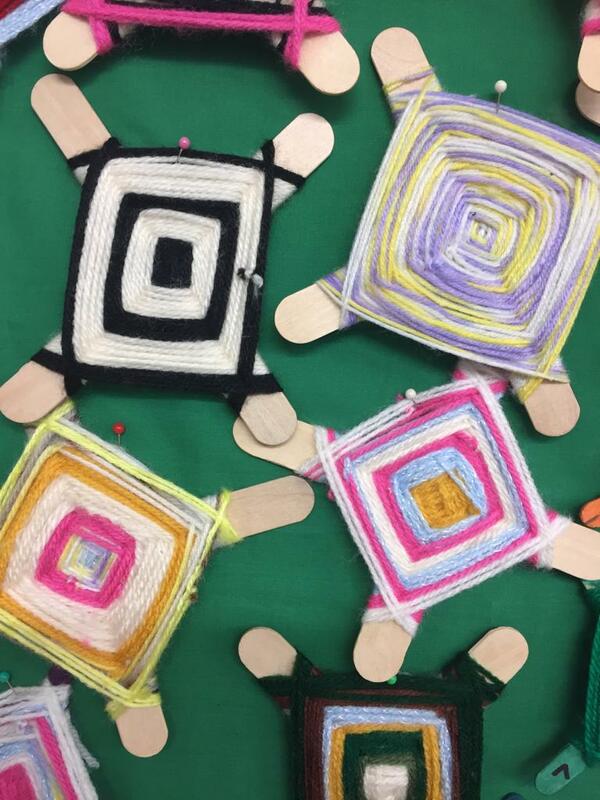 Some beautiful crosses were made.